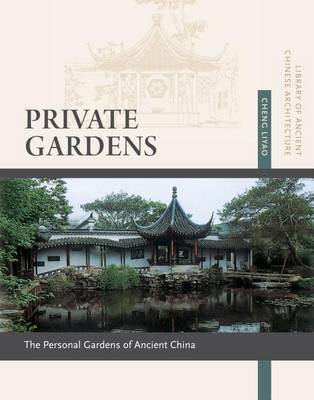 Private Gardens traces the origin and evolution of ancient China's private gardens. In ancient China, private gardens were built for the personal enjoyment of aristocrats, government officials, merchants, and landed gentry. Gardens were also common in the residences of poets, artists, and hermits, providing them with sanctuaries for meditation and relaxation. Modeled after the imperial gardens, private gardens were mostly concentrated in cities and their suburbs, and they emerged in the 5th and 6th centuries. The most spectacular of these private gardens were built in Beijing and in the provinces of Jiangsu and Zhejiang. Private Gardens includes 148 color photographs, 21 illustrations and figures, 3 charts, and 2 maps, immersing the reader in the gardens of ancient China. Cheng Liyao explores the techniques of landscape architecture, including building rock gardens, placing stones and trees in harmony, and treating water surfaces. Private Gardens details the artistry of these man-made gardens, their layout and design, and explores how landscapes were created and how water was manipulated into forming streams and lakes. This book includes many of the famous gardens existing in China today, illustrating details of their construction, building form, and style. Winding walkways, ornamental windows, and masterfully planned scenery all serve to acquaint the reader with the splendour of the private gardens in China.